In 1917, it was just a railroad town on the Ozark Trail however it later became known as US Route 66 and by the 1930s it was a paved two-lane road with several filling stations, a restaurant, and a motel. Its location on the border of Texas and New Mexico led to some funny business. The railroad station was in Texas. The local post office was in New Mexico. 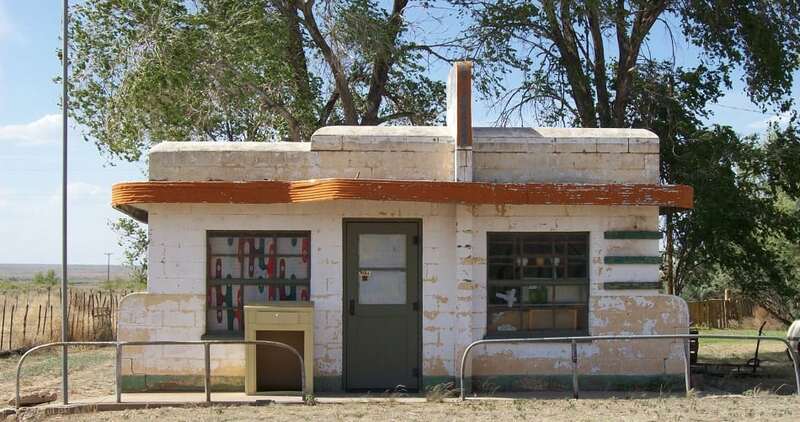 Glenrio was the site of the “First Motel in Texas” / “Last Motel in Texas” and other businesses which straddled the state line for many years until Interstate 40 bypassed the community in September 1973 which spelled the end for the residents.